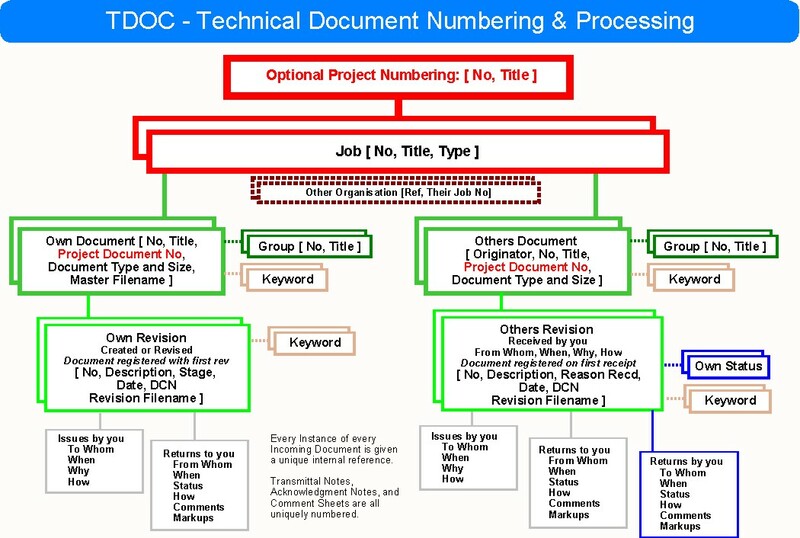 First an examination of what Best Practice in Construction Engineering Management Document Control [CEMDC] has meant to date - that includes the whole gamut of bringing a project from inception to completion of construction, and operation, and in some cases to its removal - such as for an oil platform. It will include the manuals for operation as well as suggestions for removal. Heery International, a project management firm involved with major complex projects was a partnership between Balfour Beatty and Heery Inc. The second phase of the development of TDOC was done to meet their specifications, and to meet the best practice as outlined in their sales brochure. Probably the most important project question is in what format information should be made available. The simple answer is PDF. Another question is how fast cheap and simple communications with third parties over the internet are enabled. EDI is one excellent answer. 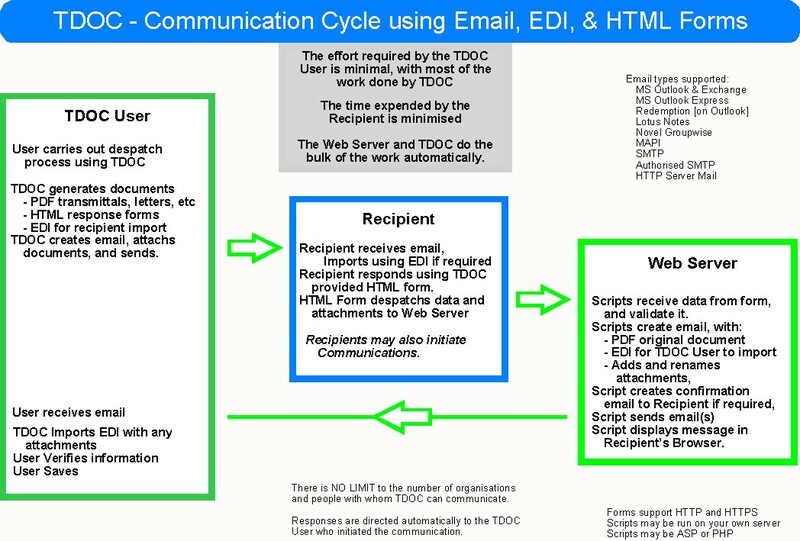 This is how the TDOC interpretation operates. Have a negligible requirement for support. So where did BIM come from ? The answer from where the idea came is simple: the worlds largest procurement agency - namely the US Department of Defence. The purpose of COBIE is to improve how information is captured during design and construction, and then provided for operations, maintenance, and asset management purposes. COBIE eliminates the need to create and transfer boxes full of paper construction documents to facility operators following completion of the project. COBIE also eliminates the need for post ad hoc as-built data capture, and it helps to reduce operational costs. Probably the best white paper to read on the need for COBIE is its Requirements Definition and Pilot Implementation Standard - published by the US Army Corps of Engineers. Another white paper that should be consulted defines the National BIM Standard for the United States - INFORMATION EXCHANGE STANDARD - Version 3. In particular this states "COBie is implemented in commercial software to allow the users of that software to transfer the information from one phase of a project to another without having to repeatedly recapture that same information, as is the case in the capital facilities industry today." The last white paper which covers the rest of the subject matter is the overview provided in a document entitled: Construction Operations Building Information Exchange (COBie), by E. William East, PE, PhD, Engineer Research and Development Center, U.S. Army, Corps of Engineers. This was last updated in April 2014. It includes in its overview this statement: "COBie simplifies the work required to capture and record project handover data. The COBie approach is to enter the data as it is created during design, construction, and commissioning, see Figure 1. Designers provide floor, space, and equipment layouts. Contractors provide make, model, and serial numbers of installed equipment"
The simplest methodology is for the main contractor to collate the information during the construction phase, and then to pass the software, the database, and the documents to the project owner. As long as the main contractor is involved in the detailed design process, the whole project life will be covered. It is to be noted that some relevant information is NOT included: particularly the issue and approval of information during the construction process. Further more there is a relational problem with documentation that relates to more than one asset [space, system, plant item, structural item, etc]. This includes such things as Electrical Loads for example and P&ID's [Process and Information Diagrams]. What COBIE IS about is to create a model of the project - its design, construction and operation. It is NOT about a "3-D computer model of the structure" which is the impression that is often given. It is about being able to retrieve the required relevant information in a fast and efficient manner, and being sure that all of the information is there and retrievable. 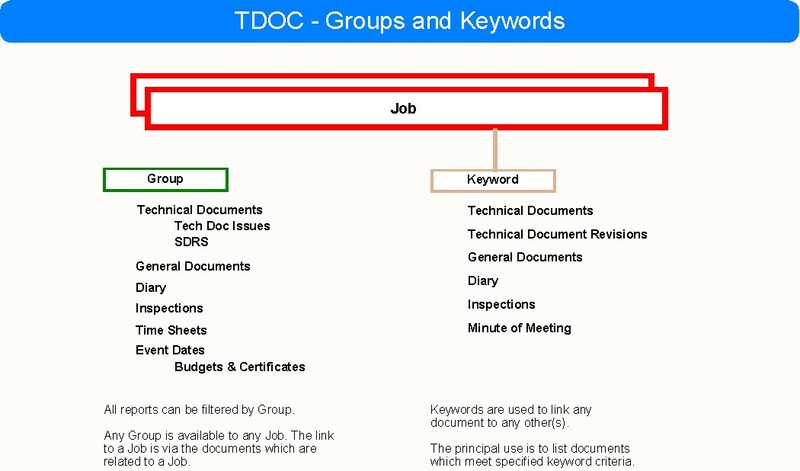 Within TDOC entities such as floor, space, and equipment layouts may be set up by the user as "Groups". A Group may also be created as a contract or sub contract. Against this type of group, a start date and an end date may be set, as well as the budget for the work within that "work package": activities include the certification of monies due, and paid etc. One of the most important methodologies for ensuring that a project proceeds smoothly is managing the Submittal & Approval process. The best definition is that provided by the SDRS [Supplier Documentation Requirement Specification], sometimes referred to as VDRL. The Building Information Modelling [BIM] Task Group. On a small £5m primary school including all costs ... 25 RFI's seems very high for a structure of that simplicity. The YouTube commentaries by Paul Morrell - Government Chief Construction Adviser May 2012. Please note that the Comments facility and the Like Dislike status have all been disabled. One year on, which aspects of the strategy have made good progress? The use by Paul Morrell of the surprising term "save taxpayer dollars" [at 1m 20 secs] tends to suppose this video was written in the USA. Do you think that industry BIM adoption is happening quickly enough? What more could be done to encourage a single team environment? Single Team Integration - means design team, management team, and facilities management teams. What about the finance guys ? What about small innovative specialist business's ? Government is the biggest purchaser of construction - so sell to the government. Paul Morrell supports the mega sale to the project owner who forces a solution down the chain. Great when there is only one solution, but when there are several it leads to chaos. As for Audit Trail ... its undefined and well below what is needed in court. He mentions he has been on the receiving end of contract claims ... but NOT on their prevention. Will BIM help drive the "safe by design" agenda? How will we ensure a BIM legacy beyond 2016? Paul Morrell is convinced once people have adopted BIM it will survive. Will it last that long ? How important is BIM know-how and efficiency to UK sector growth? Paul Morrell states that the world sees BIM as being necessary for growth and competitiveness. USA well on the way. Government will adopt BIM to motivate change. He says that Phil Bernstein of Autodesk says that this will create change all through the supply chain. How big is the BIM prize post-occupancy? Paul Morrell states that it is massive. Reward of management of its assets. He states that this will provide building managers with the data that they will need. If many projects are anything to go by - the BIM Prize will be ZERO in the experience of the author of this paper [on a BAA Airport, PFI Prisons, PFI Schools, & PFI Hospitals etc]. 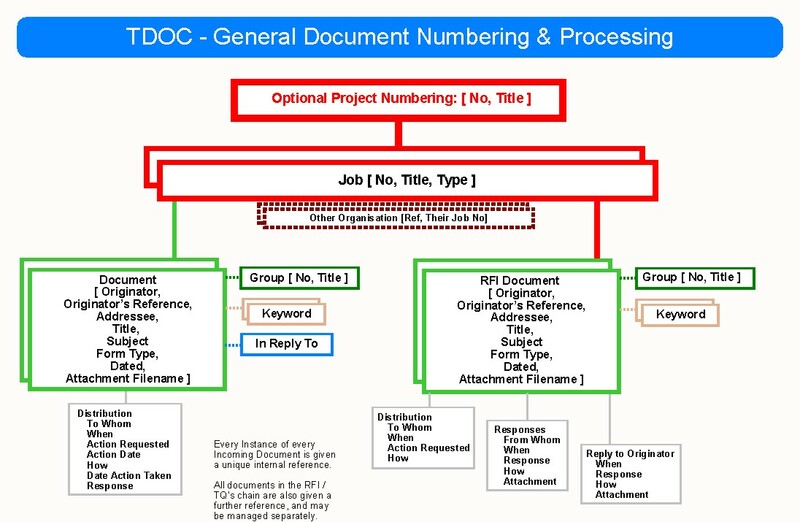 During the operational life of a project records require continuous amendment. Is it just Government impetus that is driving BIM adoption? Paul Morrell rightly says that you cannot force the market, but you can try and change procurement practice: By adopting and forcing BIM into its supply chain Government is getting people close to where they have to get to. Created huge amount of attention. Paul Morrell promotes the supposed benefit of integration. But is it just a marketing ploy by the largest software firms who are simply excluding others who don't use their model. Who will win ? Bentley or Autodesk ? Meanwhile it is quite likely that a small firm will have to adopt several different BIM solutions ... e.g. both VHS and BetaMax ! Are you personally convinced by the business case for BIM? The Business case [which is NOT stated] is said to be fantastic. No re-input of data. Elimination of errors. Paul Morrell is convinced but he doesn't have to produce a business case, nor find the investment. Anyone who has ever had to extract information from a model will know all about re-keying of data almost inevitably in different and non transferable format, and the likelihood of introducing errors when the information has NOT been formally issued, but had to sourced and extracted .... which of course is wholly contrary to the requirements of ISO 9001. The Appendices describing the various elements demonstrate that the proposed system complexity is probably unworkable. BS ISO 12006-2:2001 - Building Construction - Organization of information about construction works - Part 3: Framework for classification of information. This standard dates from the era of the EDIFACT [United Nations alternative to XML], EDICON [Appears to be dead], and EDIBUILD [Alive but mostly relating to Quantity Surveyors and Bills of Quantities]. EDI in conjunction with html forms although commonly used in many environments have been mostly ignored by the construction industry. BS ISO 12006-3:2007 - Building Construction - Organization of information about construction works - Part 3: Framework for object-orientated information. Introduces the EXPRESS-G specification and notation in the xtd entities. Although the example include "A Document" its connection properties are undefined let alone its status or even the history of its development and as for its life history in terns of issue and comment - well that is missing. Sets forth the requirements of best management practice in a contract environment. Contains considerable requirements regarding document [or information] control and dissemination. For construction specific quality requirements, a good look at the Canadian Standard Z299 is worthwhile. Blending in to the environment - how it looks within the context of the local scenery. This used to be done by an artist painting a picture, or series of pictures. These have often become historic pictures. Complexity of construction ... for example interaction of a new underground railway station with existing infrastructure. Previously this would be done by isometric drawings and cross sections - which were hugely time consuming to create. Walk through of buildings and structures - for example for making sales of space within a shopping centre. Often a 3D perspective is required. Record the issue of information [in whatever form] for approval or construction for example. Conduct buildability [or method of construction] checks in the same manner that can be accomplished with a physical model as is often used in Power Station construction for example. Record the results of comparisons between models, in a similar manner to comparing drawings or specifications. In summary, one should be aware of the fundamental differences between a project model, and a model of a structure within a project. Most of the above videos are simply sales stuff ... trying to get away from the fact that certain well known Software Companies have escalated their sales methodology to sell to Government requiring their use be mandated on all public projects. Almost all of what they promote has been standard practice for many many years. One suspects that the Ancient Egyptians, the Greek, the Romans, and many many other cultures from thousands of years ago faced up to and solved the same problems. One is tempted to ask how Microsoft, AutoDesk and Bentley store the necessary CEMDC data. The answer of course is that they don't. There are some vague comments about operating in conjunction with Accounting Systems and the like to fill in the holes. 3-D clash detection has been available for many years - with probably the first applications in recent times in ship building and oil facility construction. Certainly the author of this paper was doing these things in the 1980's on IBM main frames, and Compaq 386's. Walk through of the proposed buildings. The effort in keeping a model up to date on a daily basis let alone an hourly basis on a large project is hugely expensive in resources. For a large structure such as a hospital the model will become huge ... and that means loading it up to obtain some trivial information becomes wholly un-feasible - viz why would an electrical contractor want to be able to view weld details when all he wants to know is the position of a wireless smoke detector ? Models do not carry out buildability checks which are the source of many problems - Google will tell you more. The similarities with the failed CITE initiative are strikingly similar - indeed many of the same people are involved. There is no simple publicly freely available list of what BIM entails. A lot of waffle - YES, but nothing that one can turn into a check list. Sure there are Several British Standards: BUT they deal with related matters not the CORE of what it is all about. So although modelling of buildings is a good thing, it is NOT the be all and end all as is being made out. Indeed in the old days there was always a model of a ship or a power station, which could be taken to pieces to demonstrate buildability, its features etc etc. When a concept gets "out of control", when the senior members of the various professions cease commenting on it, and when the magazines representing these professions start taking excessive volumes of related advertising [even if it is just to stay alive], then one is tempted to question the integrity of these magazines. They are NOT trade magazines where one expects "advertorial", and editors must, even unwittingly, avoid being placed in the situation where it appears thus.